Eric is the co-founder and CEO of Odyssey Capital, better known for its core product, Lipa Later. Lipa Later is an alternative micro lender that allows consumers to easily access essential products and services through offering affordable, monthly installment payment plans. Lipa Later partners with leading brands and retailers - Samsung, Tecno, and Jumia amongst others; to allow their customers to pay for their items in monthly installments as opposed to a hefty, one off payment. 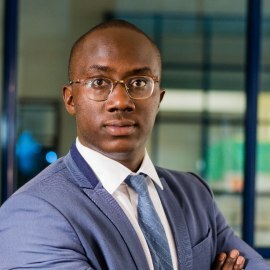 Eric is a graduate of Babson College, USA (the world's No.1 entrepreneurship school) as well as the youngest recipient of the "Top 40 Under 40 Men" in Kenya award (2015).